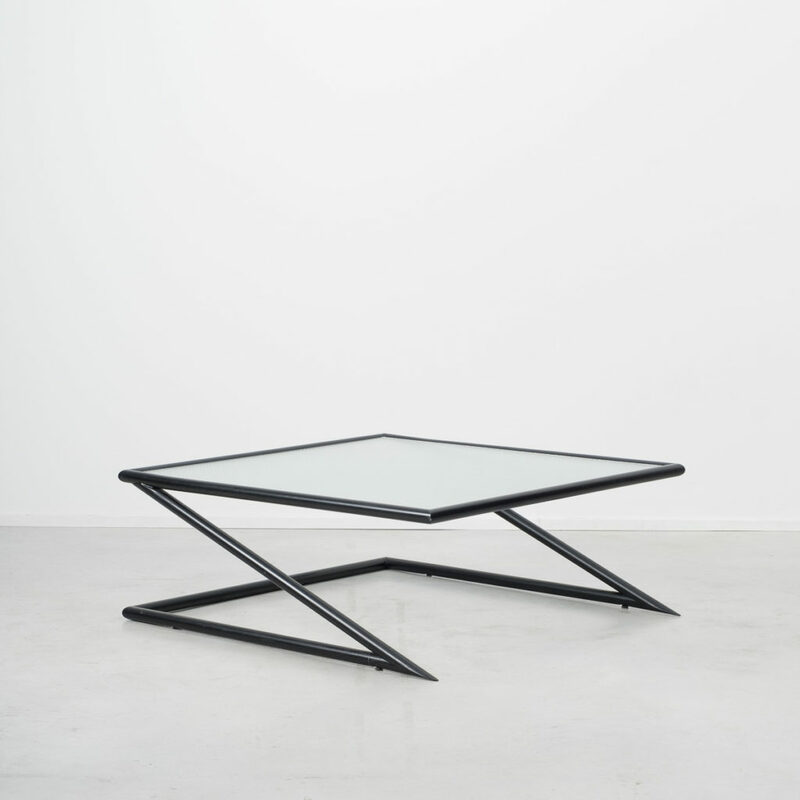 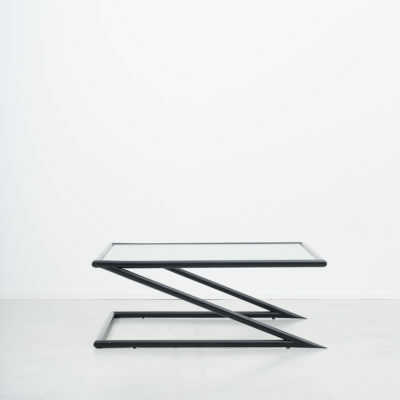 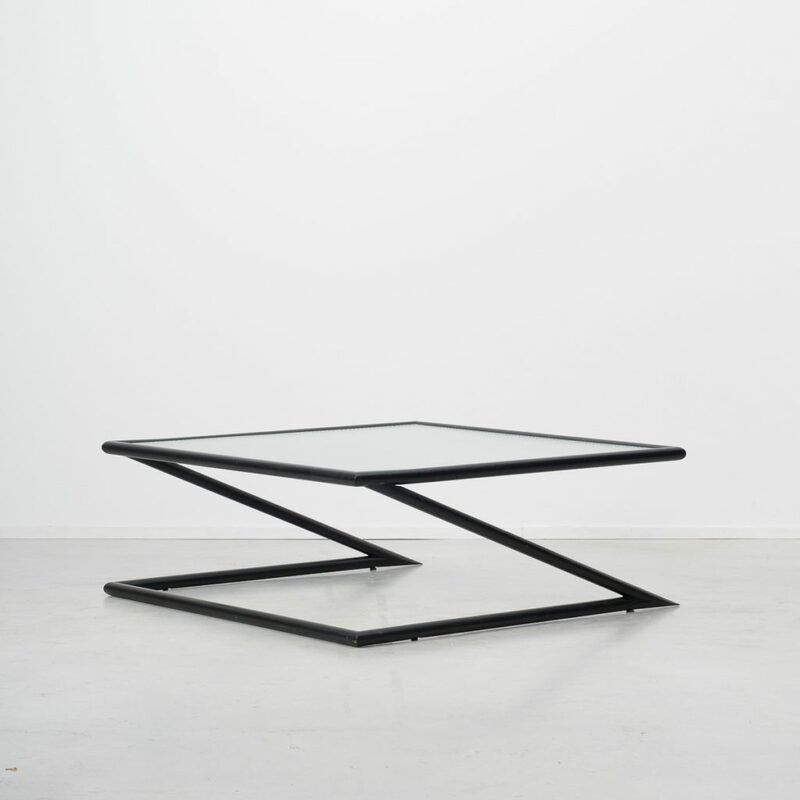 A pair of architectural tables manufactured by Dutch company Harvink in the mid 80s. 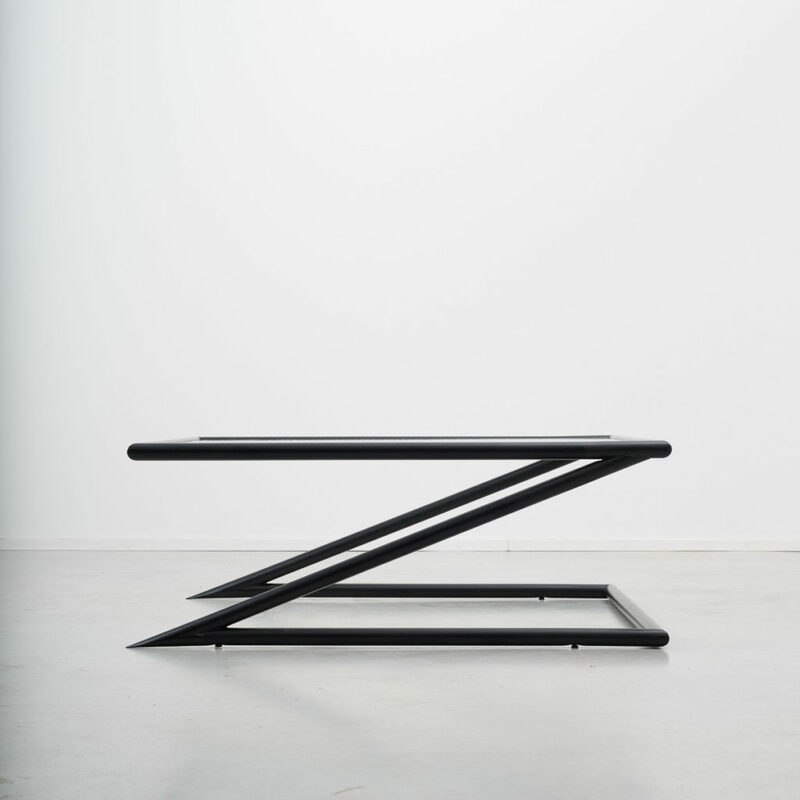 The gravity defying Z design has a strong sculptural presence. 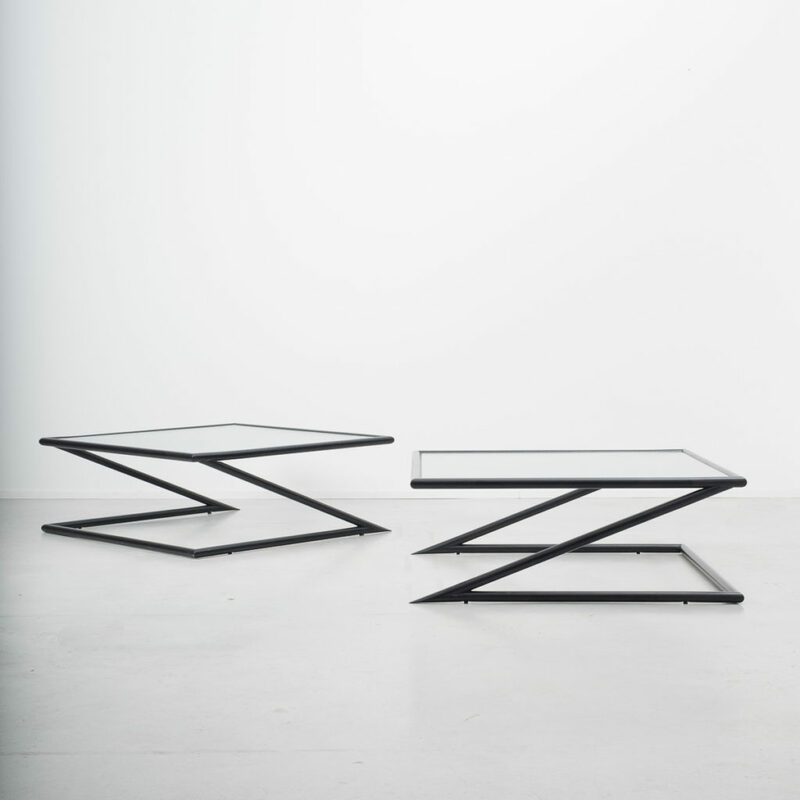 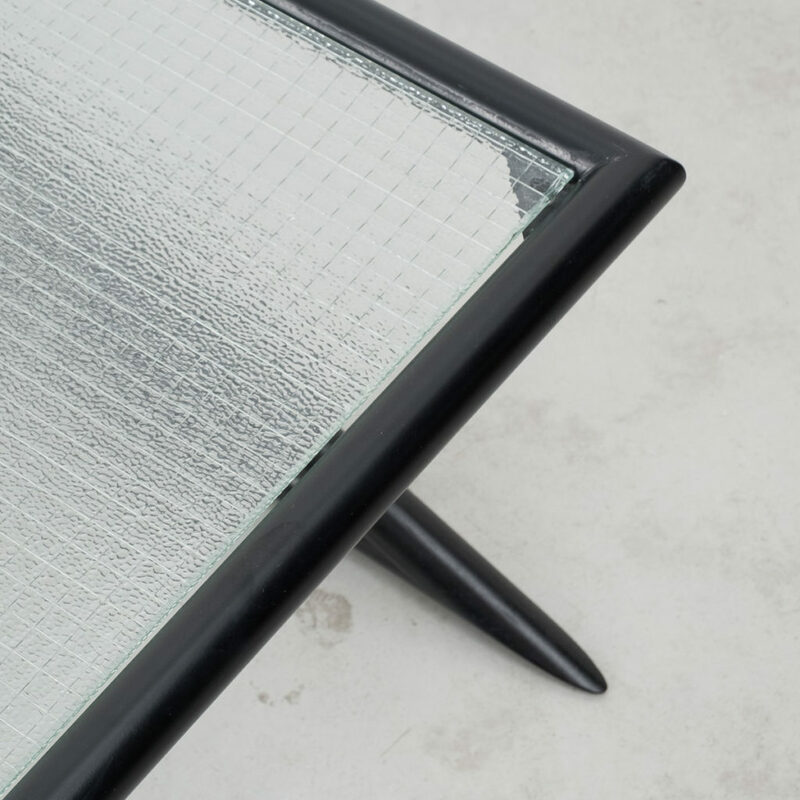 The tables are a versatile size and equally appropriate for either side or coffee tables. 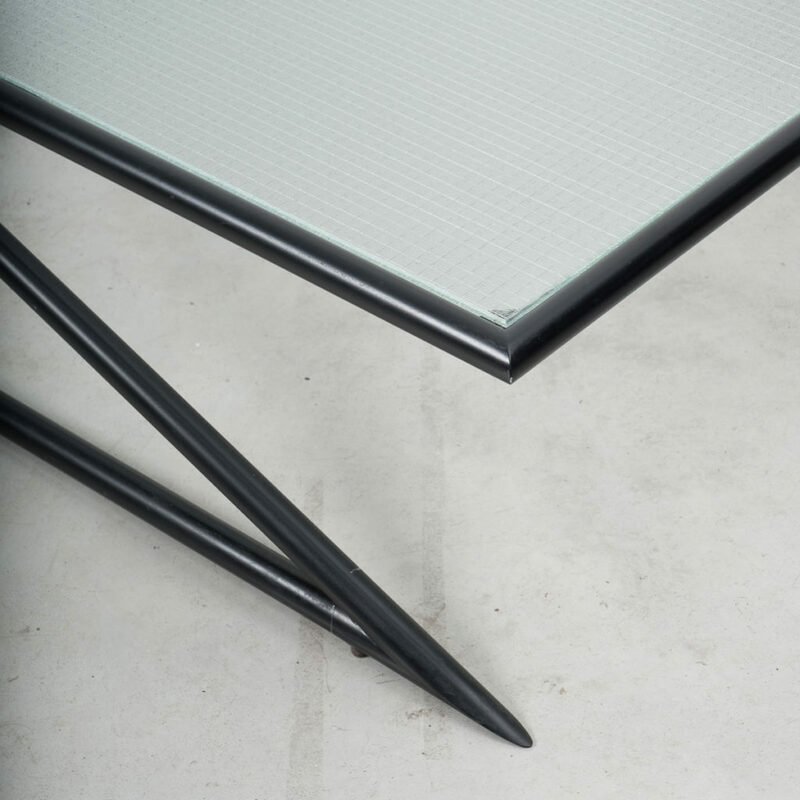 The black frames are constructed from welded metal tubes which are topped with wire framed glass. 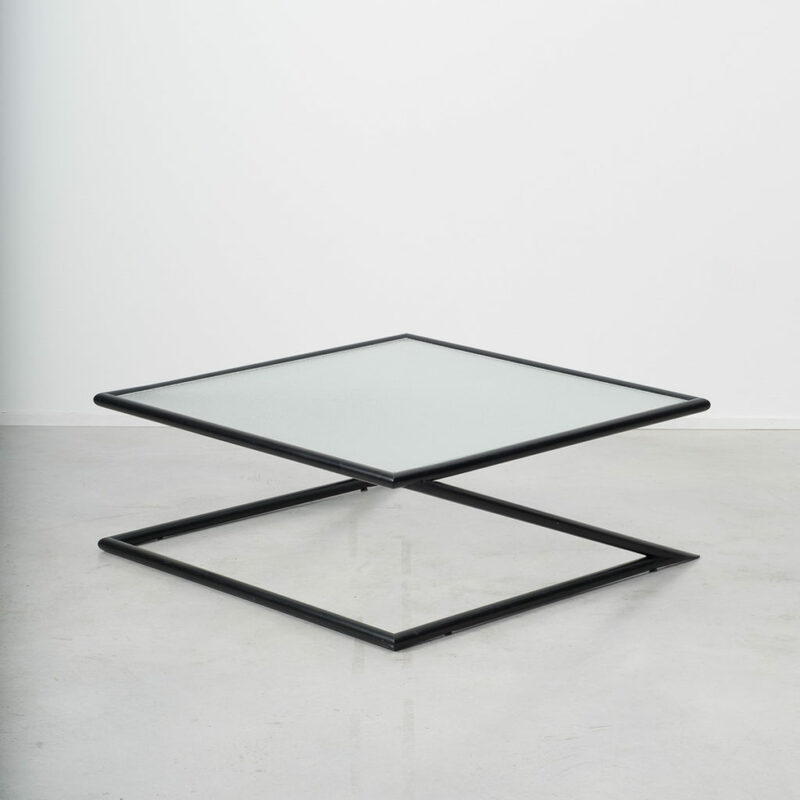 In excellent condition with only minor usage marks to the frames.